Best pack and play ever! 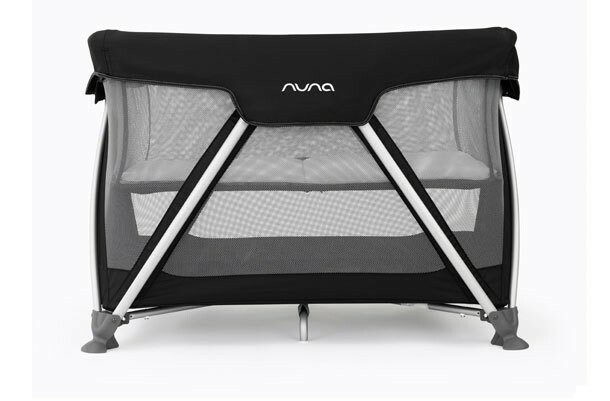 After much searching online for a pack and play, I settled on the Nuna Sena because of its clean, contemporary design, ease of assembly/disassembly and of course for the comfort and safety of baby. I feel it is incredibly sturdy -- no wobbling at all. I love that Nuna pushes to really limit its use of toxic chemicals -- there was absolutely no odd smell right out of the box. I purchased this to use as the primary sleeping place for baby for the first few months and then for naps as baby gets bigger. If Nuna sold a thicker mattress for use after baby starts standing, I would consider this to be just as good as a standard crib. Still waiting for our second baby to arrive to put it to use, but I'm sure it will be very well accepted after experiences with our first child. I would definitely recommend this to anyone looking for a Bassinet/Play Yard/Travel Crib/Safe place for Naps. Soft and waterproof! A little pricey, but a good quality product overall. The Nuna Sena Pack and Play looks great and our daughter enjoys her new play space allowing us to do things around the house! My daughter is using as a bassinet of sorts for the new baby girl. Brilliant product. Easy one step set up.